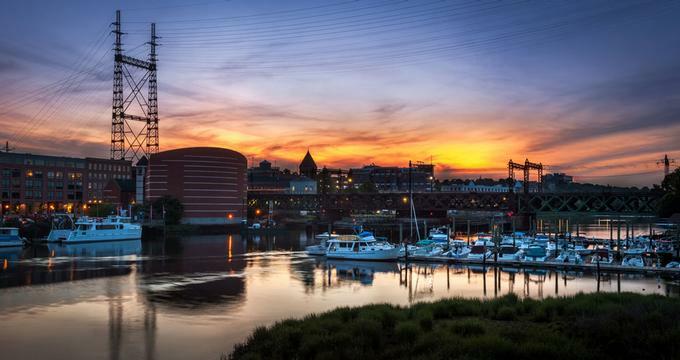 Norwalk, CT is a small town in the county of Fairfield, Connecticut that offers a peaceful escape from the hustle and bustle of the big city and boasts an array of attractions. Visit the Maritime Aquarium or spend some time at the National Historic Landmark of the Lockwood-Mathews Mansion Museum, one of the best surviving examples of Second Empire style country houses in America. 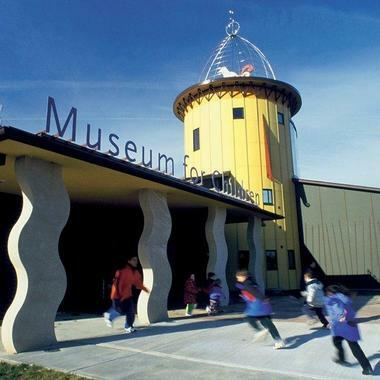 Best things to do in Norwalk, Connecticut with kids include Stepping Stones Museum for Children and the SoNo Switch Tower Museum. South Norwalk, also known as SoNo, is an eclectic neighborhood in Norwalk where classic waterfront meets urban hip to create a jazzy, vibrant hub. Originally a settlement called Old Well, South Norwalk is today a colorful, bustling area of the town and is home to over 30 restaurants serving all kinds of cuisine from Mexican to Asian, buzzing bars and nightclubs, trendy stores and boutiques, an array of museums, theaters, and galleries, and sightseeing attractions. 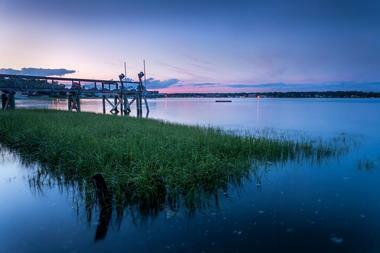 If you are wondering what to do in Norwalk CT today, this is a great place to start exploring. Anchored by the Maritime Center (Maritime Aquarium) where visitors can explore the watery world of the earth’s ocean and rivers, SoNo boasts beautiful scenic walks along the Norwalk River and Harbor, which visitors can explore by bike or on foot, as well as an array of beer gardens, pubs, and wine bars in which to relax over drinks with friends and watch the world go by. The Lockwood-Mathews Mansion Museum is a magnificent example of a Second Empire-Style country home that illustrates the beauty and splendor of the Victorian Era. Built by railroad baron LeGrand Lockwood in the 1860s, the house is the most significant example of this style of architecture and design and has been a designated a National Historic Landmark since 1971. 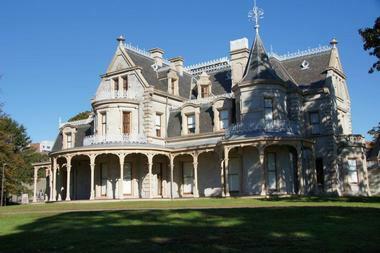 The Lockwood-Mathews Mansion Museum is one of the best things to do in Norwalk. The mansion is filled with exquisite Gilded Age interiors and antique furniture and features several excellent exhibits, including “The Stairs Below: The Mansion’s Domestic Servants, 1868 – 1938” and a special holiday display of “The Mansion’s Toys and Trains Story.” The museum is open from early April through early January, and it offers guided tours Wednesdays through Sundays. The Maritime Aquarium (formerly known as the Maritime Center) is a family-friendly aquarium and marine park situated in the popular neighborhood of SoNo. The aquarium is home to over 2,000 fish and marine mammals, including sharks, turtles, river otters, seals, and others, all of which are housed in recreated habitats that echo their natural terrain in the Long Island Sound. 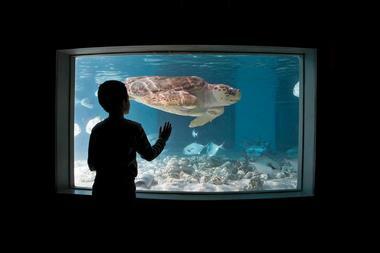 The aquarium has two touch tanks where visitors can interact with stingrays, sea stars, nurse sharks, crabs, and other coastal creatures and a state-of-the-art eight-story high IMAX theater that presents regular feature-length movies on weekend evenings. The aquarium also offers an array of fun marine-based activities for visitors to enjoy such as year-round study cruises on the 40-foot (12 m) research vessel Oceanic, educational programs and special exhibits, and exciting 3D simulator/adventure rides. Stepping Stones Museum for Children provides an environment that inspires lifelong learning for children through an array of educational-based exhibits, displays, and programs. Aiming to enrich the lives of children through education as well as enhance their understanding of the world, the museum features several hands-on, interactive exhibits that encourage children to explore, discover, inquire, and learn. Special exhibits include “Energy Lab,” a million-dollar exhibit that presents a wonderful way for children to learn about the science of energy; “Build It!,” which allows children to explore the world of architectural design and construction in a fantastic two-story structure; and “ColorCoaster,” a mesmerizing 27-foot kinetic giant mechanical toy that uses energy, motion, gravity, color, and light to spin, whirl, and fascinate visitors of all ages. The museum also provides a range of educational programs for the whole family, from school and groups programs to professional development courses. The Spread is a casual, family-friendly restaurant owned by four friends who came together to share their passion for food and drink. Featuring a modern, open plan dining space with industrial-style décor, exposed ceiling, and gleaming wooden tables and chairs, The Spread has a laid-back and welcoming ambiance. The daily-changing menu presents dishes made with seasonal, locally sourced cuisine, ranging from delicious sharing platters of charcuterie and cheeses, freshly made soups and salads, small plates and vegetables, mains of various meats, poultry, seafood, and pasta dishes, and delectable desserts. The bar serves signature cocktails, craft beers, and wines from around the world, which can be savored during the vibrant, happy hour at special prices. The Spread also serves a popular brunch on the weekends. 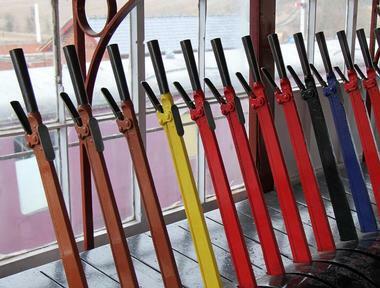 Located in the beautifully restored Switch Tower originally built in 1896, the SONO Switch Tower Museum showcases the history of the "towers" used by railroads to house the mechanism used to switch trains from one track to another. The museum delves into the story of “Signal Station 44,” and its 88-year old history, as well as the fascinating job and the people behind the operation of switching the tracks. Signal Station 44, or Tower 44, was a vital cog in the region’s essential service between New Haven and New York City, providing an outlook for train movements and control of track assignments in the Norwalk area. The Tower worked consistently from its inception in 1896 until retirement in 1984 without stopping. The museum provides a fun exploratory outing for anyone interested in trains and the railroad system. Built in 1868, the Sheffield Island Light is a historic lighthouse based at the end of the Norwalk Islands using an oil lamp to warn ships of the treacherous shoreline. 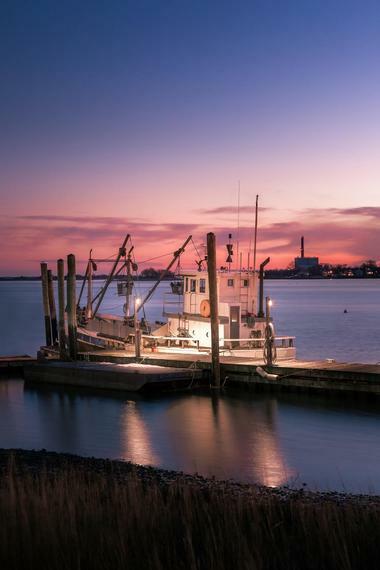 Visitors can explore the lighthouse and the beautiful surrounding area on a guided walk with the Norwalk Seaport Association’s Friends of the Norwalk Islands, who offer a fascinating insight into the history and heritage of the lighthouse and Sheffield Island. The excursion includes a scenic 45-minute boat ride to the island and a tour of the 10-room tower before ambling along the nature trail into the Stewart B. McKinney Wildlife Refuge, adjacent to the Isle, which is home to a variety of waterfowl and other birds. Stroll along the rock beach, beachcomb for seashells, and enjoy a picnic lunch in the beautiful surroundings. More ideas: Best Romantic Weekend Getaways in Connecticut. 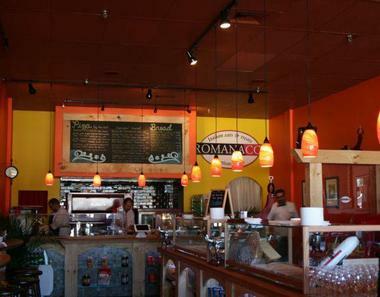 Romanacci Café is an authentic Italian restaurant that brings a slice of Italy to the heart of Norwalk. Owned and operated by brothers Graziano and Maurizio Ricci, owners of Osteria Romana, Romanacci Café is a casual eatery that offers a range of quick, distinctly Italian bites, snacks, light meals, and coffee. Meaning “from Rome” in Italian, Romanacci Café is a family-friendly establishment and the place to go for delicious homemade pizza, pasta, pastries, Panini, and freshly brewed coffee to enjoy with friends and family. Pizzas are handmade and cooked to perfection in a wood-fired oven, pasta is spun from ancient Roman recipes and served with mouthwatering sauces, and sandwiches are stacked with layers of fresh meats, cheeses, salads, and vegetables. Freshly baked pastries are delicious and a small bar menu features selected wines and beers from Italy. 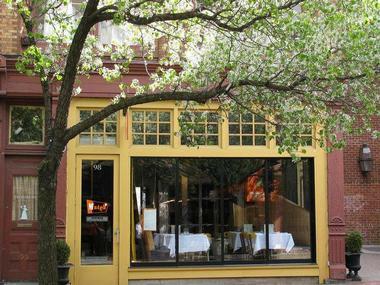 One of the first restaurants in the vibrant SoNo neighborhood, Match has been serving patrons excellent seasonal cuisine for more than 15 years. Presenting culinary creativity and consistency in a fun, relaxed environment, Match has won the hearts of casual diners and critics alike. Designed in an urban rustic style, the restaurant features a large and airy dining room that stands at the center of the eatery with walnut floors, exposed brick walls, antique wood surfaces, and industrial-inspired chandeliers.